No. 255 | Meet Sarina Mazfari. 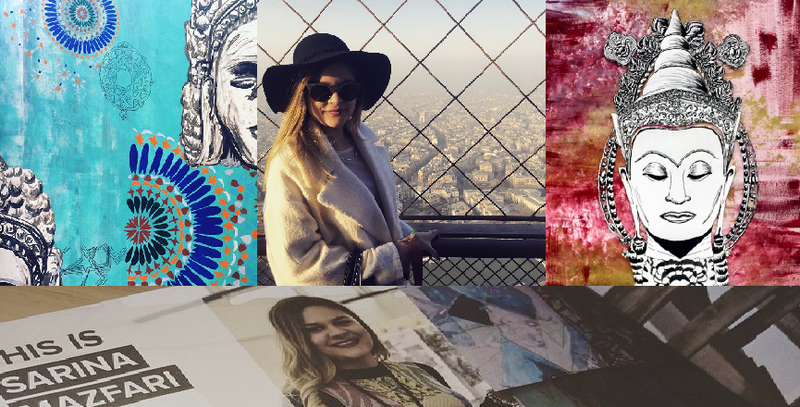 Based in the North East England, Sarina, 20 year old CCAD (Cleveland College Of Art And Design) art student has embraced her career in surface design, taking her across the world to London, Paris and NYC. Her attitude towards fashion, print and textiles is driven by passion, where she embraces cultural influence with her own flare. 1) Briefly describe yourself and who you are. My name is Sarina Mazfari, I’m 20 years old from Middlesbrough. I’m very determined in what I do and have always had a strong interest in culture, fashion and travel. 2) What sparked your interest in surface design? I studied graphic design at school and college, and CCAD gave me the speciality for image making. I realised I could take this into surface design as image making is the most important aspect of it. 3) What inspired you to become interested in the fashion industry? I have always explored fashion and went through different ‘eras’ throughout my childhood and teen years. Fashion is fun and should be experimented with. I love reading magazines like Vogue and exploring new trends, but I also like to think of my own looks and trends too. 4) What is your favourite part of what you do? My favourite part of what I do is being a student designer, with no limits. I set my own targets and achieve them. Having the freedom at university to design is something I enjoy a lot, having no barriers lets you be the most creative you can be. 5) What would you say your biggest achievement is up to now? My biggest achievement up to now is having a 5 week print placement in Brooklyn, NYC and meeting my idol Rihanna. Meeting her for real was the best experience of my life, it was absolutely amazing. 6) How has your work evolved from when you first started? I am much more of an independent designer now, I set my own goals and write my own briefs for what I want to explore and make. 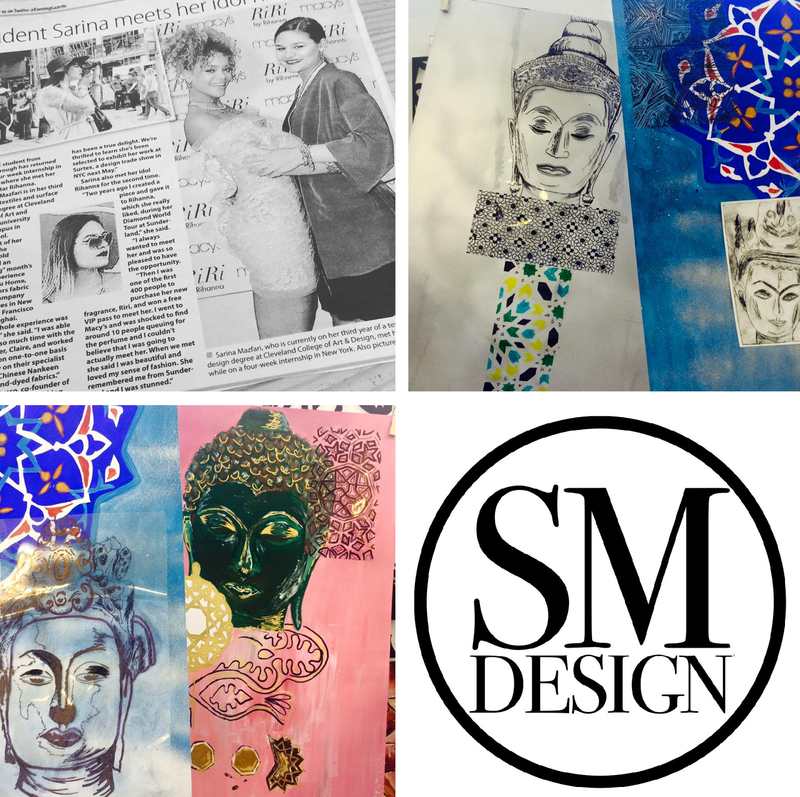 I also have much more technical awareness of surface design that makes my work much more advanced, using new software, equipment and technology to create. 7) Is there any type of design you avoid creating? I am not a fan of embroidery. It’s way too intricate and I don’t really have the patience for it to be honest. I’m focusing on my final year and hoping to graduate CCAD with a First Class BA Hons Textile & Surface Design, teaching is also in mind. I want to see the world and do what I love doing. I believe if you love the job you’re doing, it isn’t a job any more. Previous Post No. 254 | Spectre. Next Post No. 256 | La Petite Bougie.